Sears Canada’s announcement it will close its store in the Station Mall in Sault Ste. Marie, Ont., has spurred Algoma Central Corporation to suspend efforts to sell the property. “Although Algoma has yet to receive formal notification of Sears’ intent for the store, the company has decided to suspend ongoing discussions regarding a sale of the mall until the uncertainty created by the announcement is resolved,” Algoma says in a release issued Monday. Sears has been a fixture at the downtown Station Mall since it opened in 1973. It occupies one of the two anchor positions, with Walmart in the other. 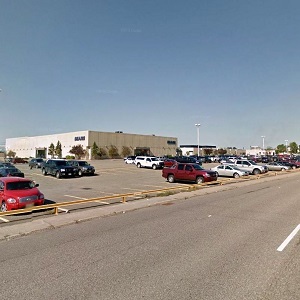 The mall also contains several other major retailers, entertainment outlets and services including SportChek, an LCBO outlet, Galaxy Cinemas, H&M, Dollarama and Eddie Bauer. The Station Mall, along with the Station 49 apartment building which sits adjacent to it and shares parking spaces, have been for sale since November 2015. At that time, Algoma announced it would divest all its commercial real estate to focus on its core business, its fleet of dry and liquid bulk carrier ships which operate on the Great Lakes, St. Lawrence Seaway and internationally. It’s currently expanding into global dry-bulk markets. Algoma’s former properties division at one time held a portfolio of 13 properties in Sault Ste. Marie, St. Catharines and Waterloo, Ont. Together, they comprised more than a million square feet of floor space. The company created its real estate division in 1973 in an effort to diversify its interests. Since deciding to sell its assets, Algoma has divested nine of its properties for gross proceeds of $84.8 million. Most recently, in May it sold the Delta Hotels Sault Ste. Marie Waterfront for $7.5 million. Algoma says it is now considering its options for the Station Mall and Station 49 apartment complex. Faced with dwindling sales, years of operating losses and continued pressure from discount and online retailers, Sears Canada filed for court protection from creditors last week under the Companies’ Creditors Arrangements Act. The company said it will close 59 of its outlets across Canada, and lay off about 2,900 employees. It plans to close 20 of its department stores, 15 Sears Home stores, 14 Sears Hometown stores and all 10 Sears Outlet locations. In total, Sears operates 225 stores across Canada under a number of brands. Prior to the restructuring announcement, it employed about 17,000.